Subject: Help bring an end to the unacceptable and cruel South Korean Dog and Cat Meat Trades! Help bring an end to the unacceptable and cruel South Korean Dog and Cat Meat Trades! 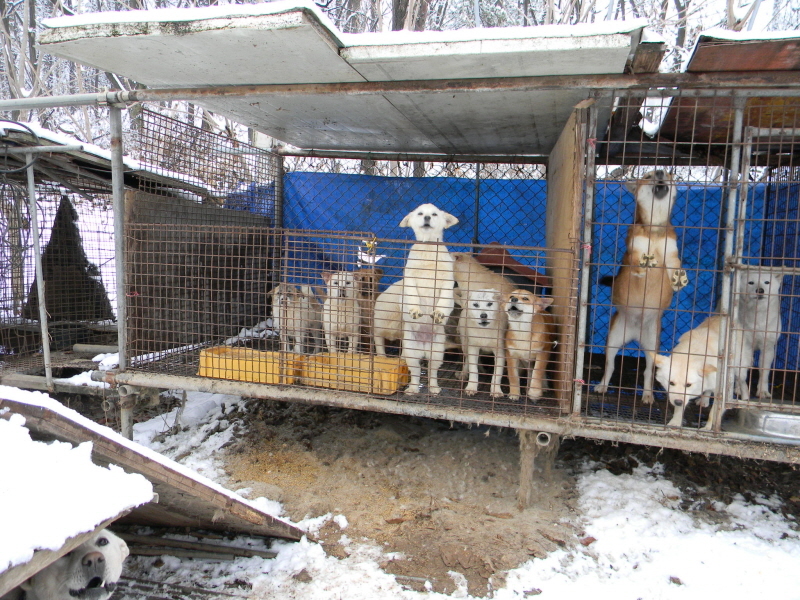 This is more than a question of “should man eat this type of meat?”: these are despicably cruel and uncivilized trades, which affect all levels of society in Korea: the children, who have to witness such overt acts of violence – dogs being electrocuted or beaten to death in front of them; the citizens who have to live with the harmful environmental impacts in their neighborhoods – filthy, unregulated effluent from dog farms, the noise of the suffering creatures, the stench from the uncleaned, excrement-filled cages; the national (and global) issue of meat entering the food chain which is not fit for human consumption – the animals are often fed on slops and fly-blown waste; the impending health crisis through the worldwide indiscriminate use of antibiotics – the animals are often pumped full of antibiotics to control infection and disease that are rife in these neglected creatures. This is a two billion dollar industry – but one which has no place in a modern society, and certainly no place in a country that is as successful and prosperous as South Korea, a country which boasts achievements in urban development, manufacturing, and technology. We are sure that you would never condone any inhumane or deliberately cruel act to any creature in your city, or country, but we want to remind you that it is not enough to just sit by and quietly disapprove of your fellow countrymen’s shameful behavior – you must stand up and take positive action to bring about a permanent end to the unacceptable dog and cat meat trades, and so end the abominable cruelty that is routinely involved in all parts of these trades. What can you do? You can start by making it your company’s policy to ban the consumption of dog or cat meat products by your employees; you can educate your employees towards a more compassionate and understanding view of their companion animals; you can lobby your government to enact and enforce better animal protection laws, which would thereby end these trades. We urge you to openly voice your opposition to these trades and, by doing so, let your customers know that you want your country to change – because, right now, many of your customers across the globe are finding it morally difficult to buy products from a company such as yours, who only seems concerned about profit, profit, greed … and profit.